What to do before you sell your home and home seller tips. These tips will help you prepare your home for sale. Remember that you may not get a second chance at a first impression, so make it great the first time around. Details matter when your home is on the market. You want your home to be remembered for the right reasons, not the forgotten ones. 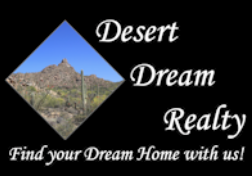 If you have any questions about selling your home, call Desert Dream Realty at 480-252-8300 TODAY or fill out our Sellers request! If you would like a free home valuation click here for more information. Real estate tips you can use when selling a home. Your front yard is the first thing anyone sees of your home. If they do not like the way it looks, a buyer will drive right buy. What should you do to the front yard? Clean it up! If the front yard is a mess, a buyer will think the inside is too. Remove any dead plants, weeds and trim overgrown bushes and trees. If you grass is not cut and green, make sure it is when you put it up for sale. Clear debris and clutter from porch and walkway. Give your front door a fresh coat of paint and a pot of fresh flowers to make more it more welcoming. Make sure you check your front porch light. Many buyers will go by your home at night. Make your back yard as spacious and comfortable as possible. Follow the same guidelines as the front yard. Please fix everything broken! If a buyer sees anything broken, They are going to think you did not take care of your home. An exterior defect will make a home buyer drive right buy. Thinking of selling your home? Get a head start on your move! Start packing to remove clutter and depersonalize your home. Store excess furniture, toys and personal decorations including your family pictures in the garage or in storage if possible. You want a buyer to picture them in your home, not you in your home. Real estate tips you can use when selling a home. Your living room or great room is the first thing anyone sees of the inside of your home. If they do not like the way it looks, they will walk right back out the door. If the carpet, rugs, walls, ceiling fans are dirty, a buyer will think you didn't take care of anything in the home. Clean them until they shine. Walls that can not be cleaned should be repainted. Make sure your fireplace is cleaned out too. The new owner wants to see his fire, not the remnants of yours. Give it a good scrub inside and out and add fresh logs ready to light. Make sure the toilets lid are down. No one wants to see the inside of your toilet, plus it looks neater. Make sure your bath and shower are sparkling clean. Yes, buyers will look behind the shower curtain! Replace all missing or burned out light bulbs. If your home is not painted with neutral colors, you may want to consider repainting. White, beige, taupe or a subtle gray are the best neutral colors to repaint. Replace broken or outdated fixtures and hardware to give your home a quick update. You may want to remove dated window treatments and light fixtures and check for burned out light bulbs. You can use accent lighting to draw a buyer to certain selling points. Set the table or at least put flowers on the table. Set it formal in the dining room and casual in the kitchen. Neat and clean linens in bedroom and baths and make the beds. Make sure everyday items are out of sight during a showing. Move litter boxes, pet dishes, animal crates and children's toys out of sight. Details matter! Make it memorable for the RIGHT reasons, not the forgotten details.